4 people were injured in a crane accident in New York. A giant crane collapsed on Tuesday around noon on the Tappan Zee bridge landing on the 8 lanes of the highway (see video). It is a miracle that no vehicle were struck by the crane and nobody was killed in the accident said New York Governor Cuomo in a press conference in Tarrytown, NY. Only 3 motorists trying to avoid the falling crane and a construction worker were treated for minor injuries. Witnesses said they saw the crane operating normally and all of sudden falling sideways on the highway blocking the traffic in both ways for the whole afternoon. 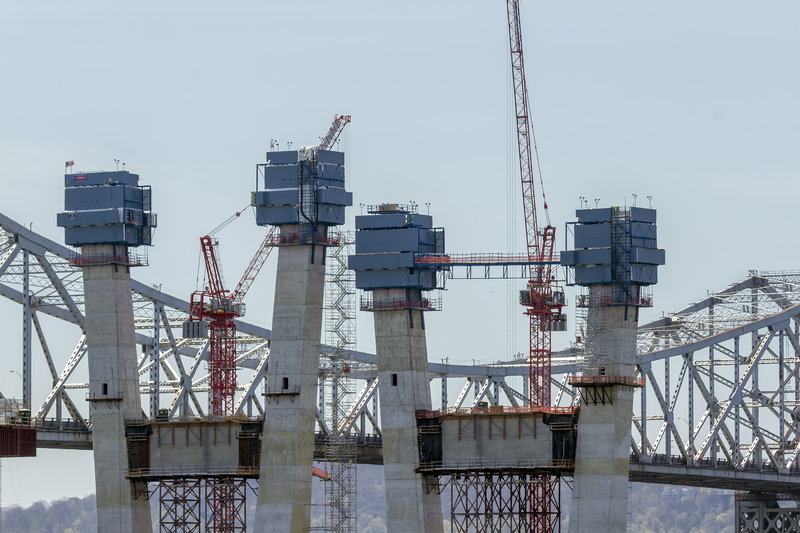 28 cranes like this one are operating on the Tappan Zee Bridge construction site which is the largest infrastructure project in the US. The crane was a new MLC 300 manufactured by Manitowoc Cranes with a 256 feet long boom. At the time of the accident, construction workers were using a vibratory hammer to install pilings, a routine task that is not considered dangerous or challenging. Officials are investigating the cause of the collapse. They said the wind wasn’t an issue. The operator of the crane stayed at the scene and was tested for drugs and alcohol.